heehee. so i sewed 4 buttonholes and buttons onto a dress for emma. i finished a doll dress for her, which needed the straps sewed together and a hem. and i added straps to a sundress for emma, thankfully it fits. i made that thing 2 summers ago. she likes it, and wants me to make another. :) i think it would be a good nightie too, made out of a soft knit. 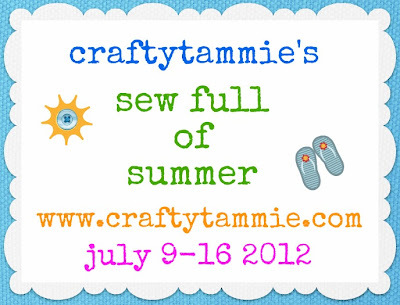 don't forget about sew full of summer! Good for you! Cute dress.......at least there wasn't much to finish it right? !